What does Bill Monroe (the Father of Bluegrass) love more than bluegrass?…CHOCOLATE!!! And where can you find both? 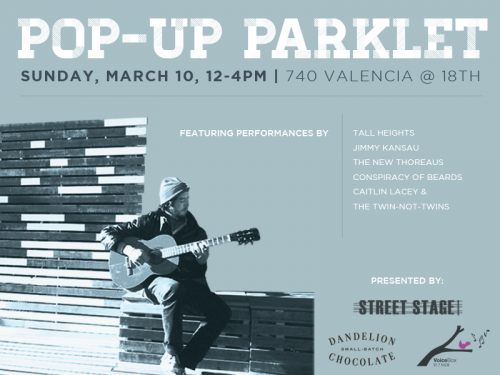 Come Sunday from 12-4pm to a pop-up parklet outside Dandelion! 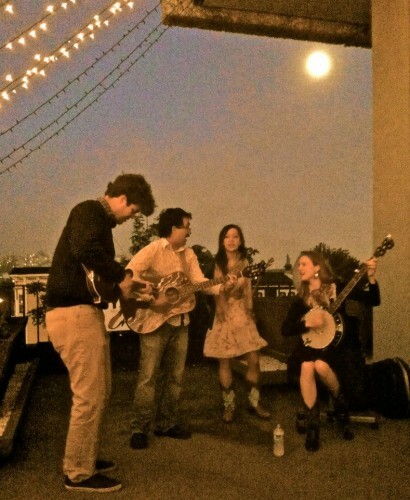 Caitlin, our fearless production manager, will be playing with her string band, The Twin-Not-Twins (or TNT for short), from 1:30pm until 2pm. At 2pm, we will have a chocolate tasting! Hope to see you all there!